This is the Vincent Family. On March 10, 2019 Jennifer and Tim Vincent received news that every parent dreads. Jaimie, their 13 year old son, was suddenly and unexpectedly diagnosed with a brain tumor after experiencing a headache and nausea. Jaimie was air flighted to Chapel Hill Hospital where he is currently in surgery today for a brain tumor. 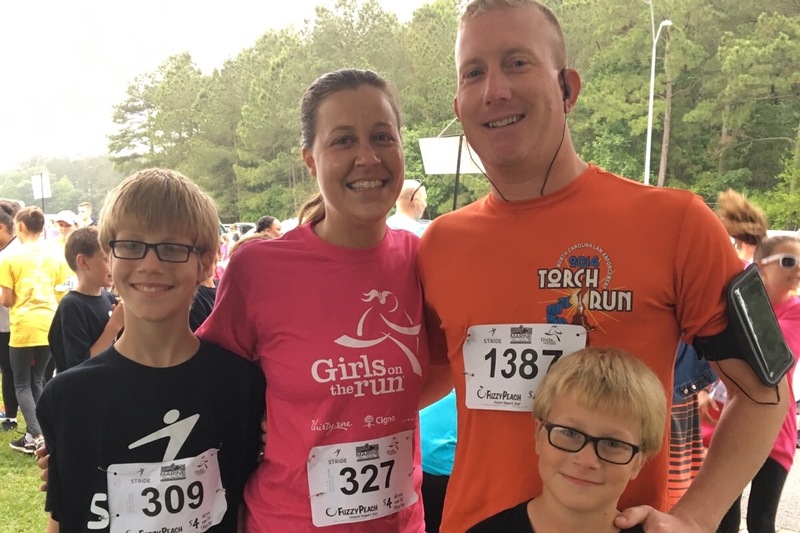 Jennifer works relentlessly as a kindergarten teacher at Morton Elementary, volunteers her time to coach Girls on the Run and gives back to her community on a daily basis as a educator. Tim is a veteran and law enforcement officer who selflessly serves the community while placing himself in harms way each day. Both parents invest a tremendous amount of time raising their 2 boys to be respectful, caring and overall good people. Jaimie is your typical 13 year old boy who loves candy, his dog Bella, video games and nerf gun wars ❤️. This campagin is organzied so the Vincent Family can lessen the unexpected burden of medical costs, traveling expenses, food, after care and anything else that is needed during this time. No amount of planning or saving could ever prepare a family for the emotional stress and costs this will incur. Your donation is greatly appreciated and every dollar counts. Let’s give back to a family that does so much for our community. Hey everyone. Sorry for the delay in updating. The family wanted to make sure close relatives were updated before social media. As much as I hate to send this message-the pathology report was not great. The MRI showed that a pea sized amount of the tumor remained. The tumor is cancerous. In 3 weeks he will start an aggressive radiation and chemotherapy treatment plan to beat it! Thank you to everyone for the contribution. We all beat the first goal set so let’s keep going. This road will be a long one for everyone and be a long process. We can help alleviate the stress financially ❤️ Share share share!! Thank you ALL so very much for the donations. The support of the community is amazing and the family is so appreciative. Jay is recovering well and getting lots of rest. Still awaiting some results and a update will follow as soon as possible. In the meantime please SHARE the page and keep the momentum going. Every dollar makes a impact and the goal is to give the family the ability to focus solely on Jay and his recovery rather than the burden of finances. More ways to give back to the Vincent family is coming and I’ll keep everyone updated once it’s all organized. Jamie completed surgery today and is doing well. Waiting for more results! More updates to follow. Please continue to share the page. Pray, send good vibes, thoughts or whatever other positivity you have towards this family. Thanks again to everyone for the generosity! Let’s keep it going! Updates on the surgery from today will be posted soon. Thanks in advance everyone!